Zimbabwe cricket team will take to the field against United Arab Emirates (UAE) in their second One Day International (ODI) of the four-match series on Friday. 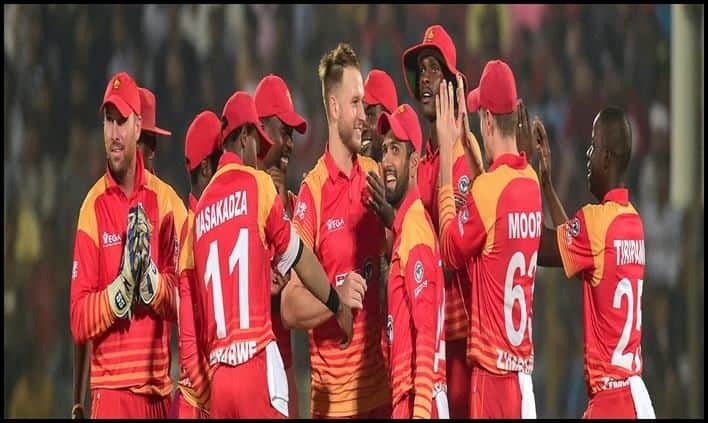 After a comfortable seven-wicket victory in the first ODI against UAE, Zimbabwe will aim to maintain their momentum when they take to the field against the United Arab Emirates (UAE) in the second of the ongoing four-match One Day International series on Friday, 12th April. While the hosts played their first match in the current calendar year on Wednesday, UAE cricket team have been busy as they began their limited-over series against Nepal against whom, they suffered defeats in both ODIs and T20Is. Following that, they got back to winning ways against the United States of America 1-0. The visitors will now look to level the series after a much-needed victory on Friday at the Harare Sports Club. When to watch the Zimbabwe vs United Arab Emirates 2nd ODI cricket match? The Zimbabwe vs United Arab Emirates 2nd ODI will take place on April 12th, 2019 (Friday) at 1:00 PM IST. Where will the Zimbabwe vs United Arab Emirates 2nd ODI match take place? The match between Zimbabwe vs United Arab Emirates 2nd ODI cricket match will take place at the Harare Sports Club. Which TV channel will broadcast Zimbabwe vs United Arab Emirates 2nd ODI cricket match? Star Sports has the broadcasting rights for the Zimbabwe vs United Arab Emirates 2nd ODI match. Where to watch the Zimbabwe vs United Arab Emirates 2nd ODI cricket match? The Zimbabwe vs United Arab Emirates 2nd ODI cricket match will be available on Hotstar. According to ICC, with the chasing side having won four out of the last six ODIs played at the Harare Sports Club, both Zimbabwe and UAE might be keen to field first. The forecast shows overcast conditions through the day, but with minimal chances of rain, which might bring the pacers into play.